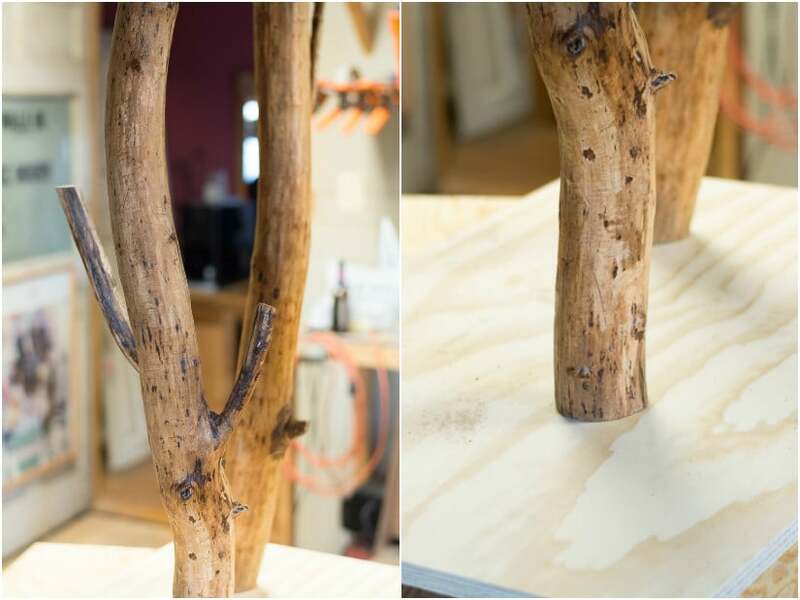 This post will teach you how to strip and finish branches for decor to ensure they look wonderful and last. 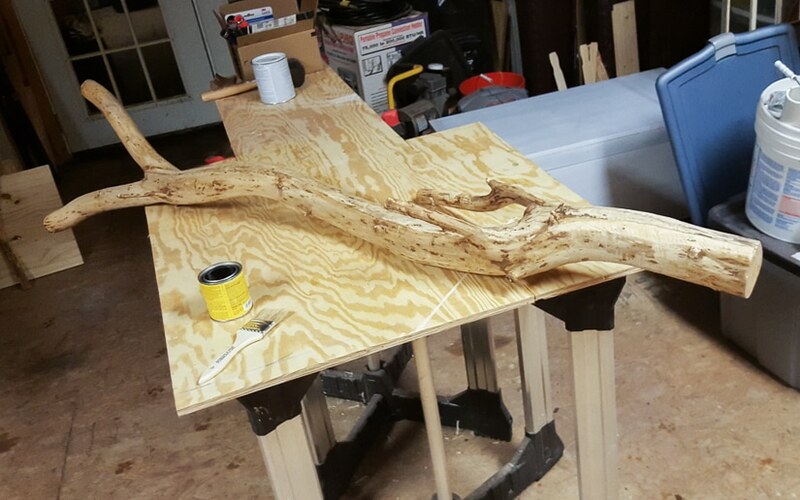 I was starting to put together the cat tree post when I realized that it was going to be really long, so I decided to break out the part about how to strip and finish the tree branches and make it its own post. 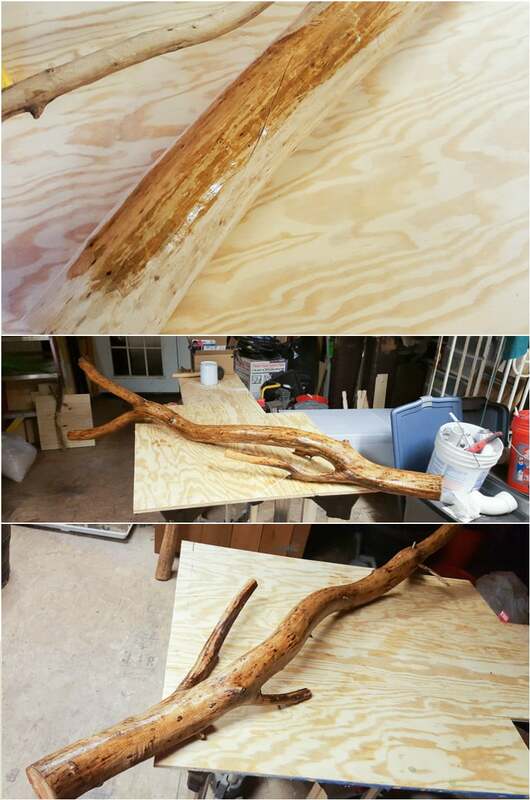 Besides, stripping and finishing branches is something that I think a lot of people might be interested in. Not just those of you who want to build a real kitty tree! 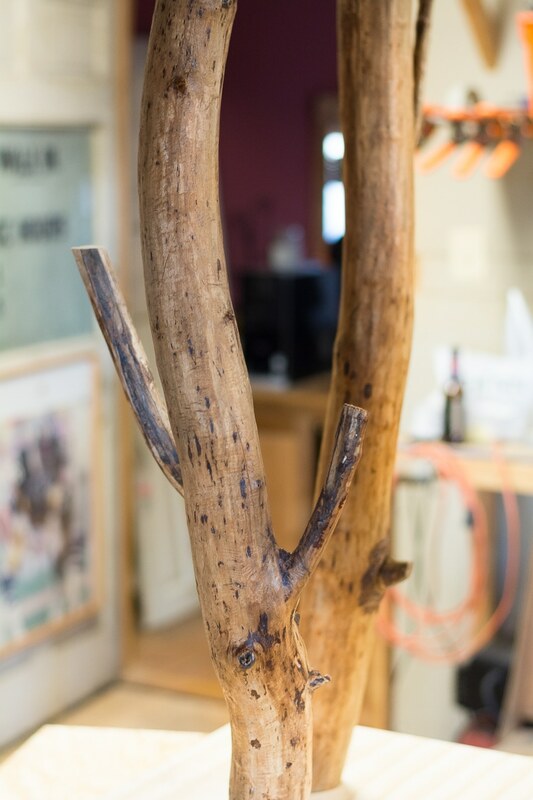 Using tree parts for home decor is not only beautiful, it’s cost effective and not too hard. Check out this Hometalk post on turning tree stumps into side tables by painting them and this post on a lovely stained stump with wheels! 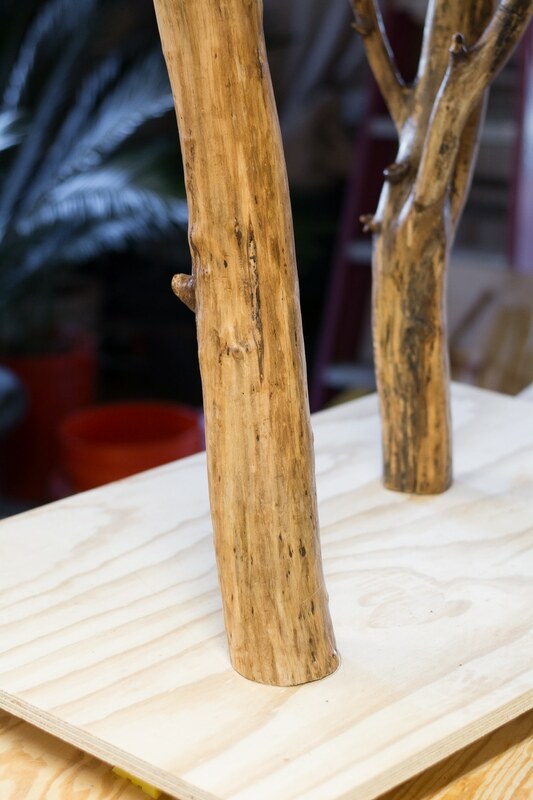 I also absolutely love these tree branch drawer pulls by Kelly over at Design Asylum. The possibilities are endless. A paint scraper—like this one here. Small hand-held saw—see one here—and a miter saw (not completely necessary, but we needed to trim some thick branches down). Assorted sandpaper—I used 100 and 150 grit depending on the spot. Minwax Stain in Natural and Rust-Oleum Ultimate Polyurethane in Satin. 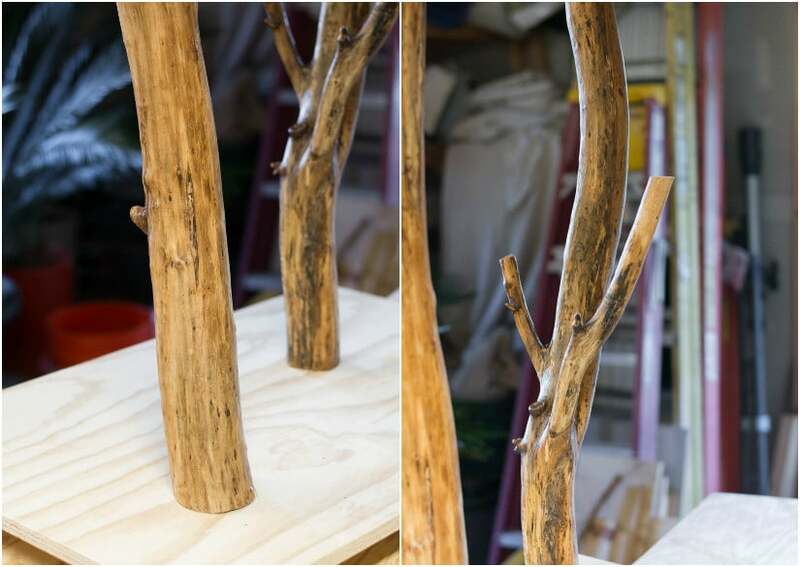 And here’s how I strip and finish branches for decor. Step 1: We foraged the woods behind my parents’ house and found two great branches that were already on the ground. Since I’d read that you had to let the branches dry out for a while—upwards of a year, even—I thought it would be best to find something that had already been drying out on the ground. We also didn’t want to hack up any trees that were still growing. 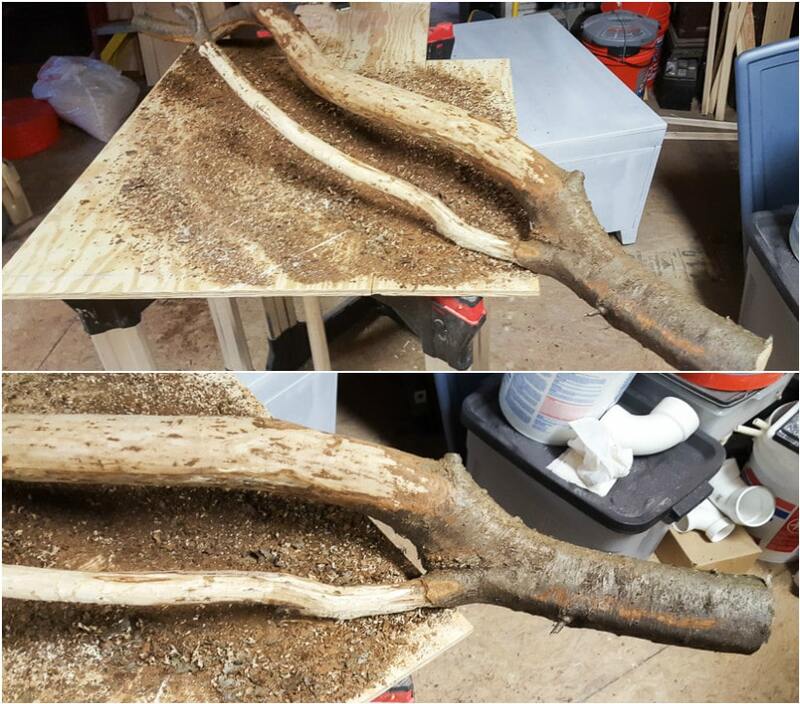 After cutting the branches, we brought them into my dad’s workshop, which has baseboard heating, to dry out for 2 more months. We thought the pieces we had were pretty dry since they did have some cracking, but we wanted to be sure. If we’d thought they were newer branches, we would have let them dry for longer. Step 2: After about 2 months, I started scraping the bark off. 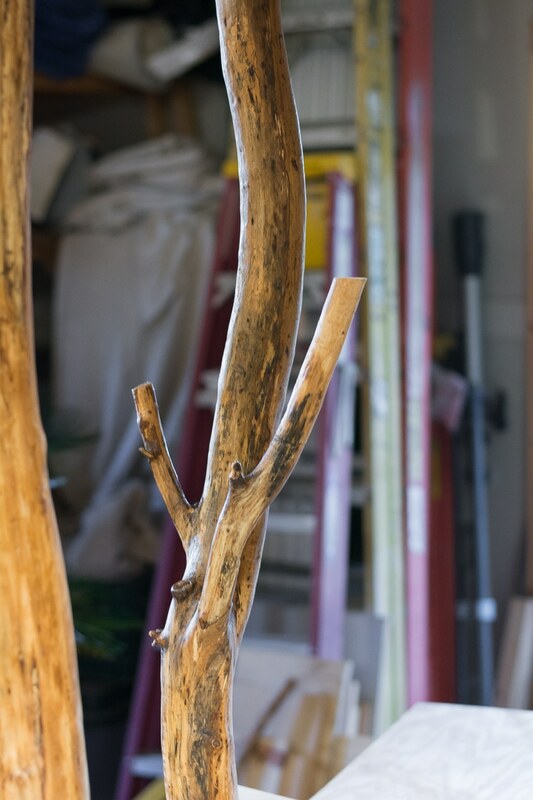 This is a very important step that a lot of people skip when bringing tree parts indoors. You need to scrap the bark off because there could be bugs living under it! In fact, I found guide a few little guys while I was scraping. 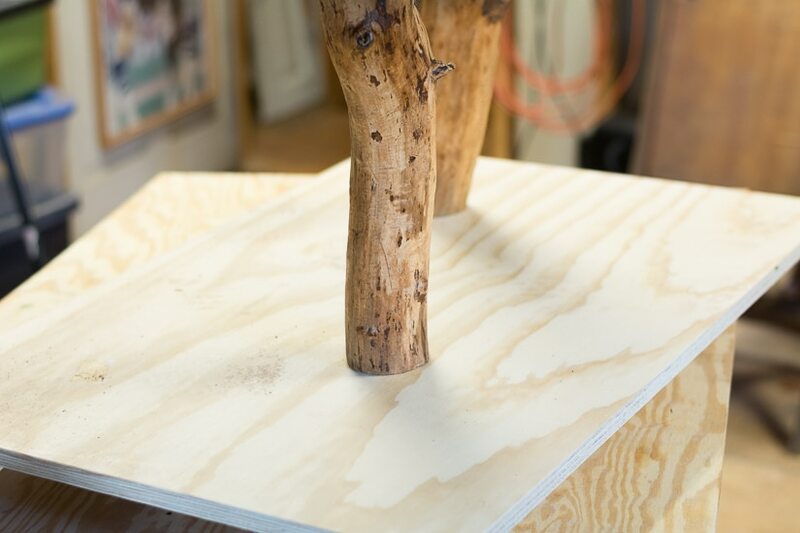 The bark will eventually fall off anyway, so it’s best to take it off at the start of your project. There are lots of ways to de-bark trees. 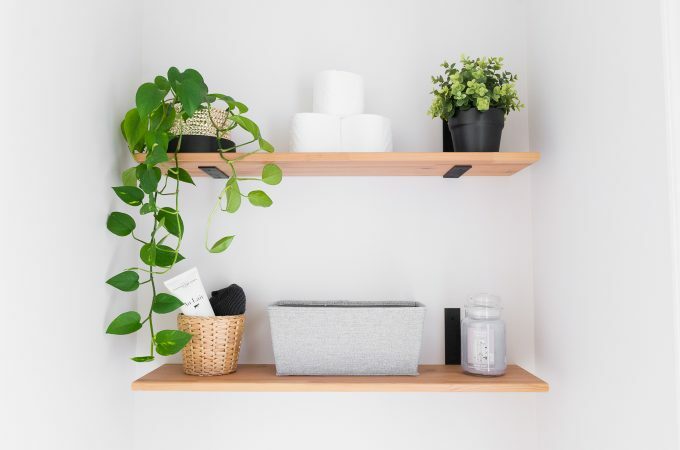 The ease with which you can remove bark depends on many factors, including what type of tree it is, how dry the wood is, and even what time of year it is. Unfortunately for me, my bark was not easy to remove—and it looks like that’s the case for many people if my Googling is any indication. But don’t worry, the results are totally worth the time and frustration! While I read that a lot of people use a draw knife and even a pressure washer to remove bark, I used a paint scraper. It was my dad’s idea, and it worked really well! It just took time and elbow grease, and it was extremely messy. Step 3: After I’d scraped all of the bark off, I cried of happiness that the miserable process was over and grabbed some sandpaper. I used 100-grit sandpaper on some of the rougher spots. Then I gave the entire piece a good, thorough sand with 150-grit sandpaper. I was truly amazed at how well this polished the piece. 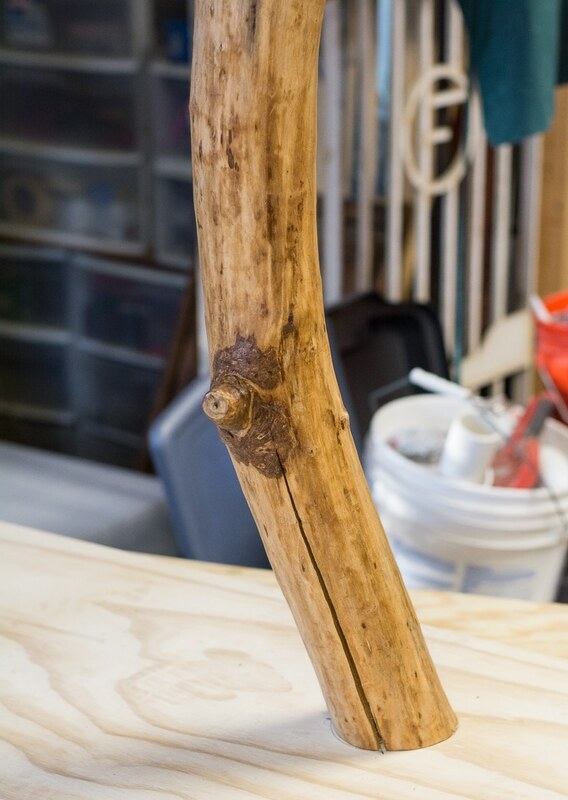 Step 4: After cleaning off my work space and wiping down the branch with a dry paper towel, I used a chip brush to apply a generous coat of stain. Minwax Stain in Natural really helped to bring out the wood’s character. I didn’t even wipe off the excess stain—I just left it to soak into the wood for about 24 hours. Like I said, my pieces were pretty dry, so the stain soaked right in. Step 5: At this point I was giddy with excitement about how good the branches looked. I finished them off with two coats of Rust-Oleum Ultimate Polyurethane in Satin because I wanted to bring in a bit of sheen while providing further protection for the branches. This is a water-based polyurethane that dries much faster than an oil-based one. You can see that the pieces have just the right amount of sheen for what I wanted. I wanted them to look polished but not super shiny and fake, and I think the water-based poly in satin really achieved that look. So lovely. More to come later this week on the cat tree that these branches are becoming! What a great idea! 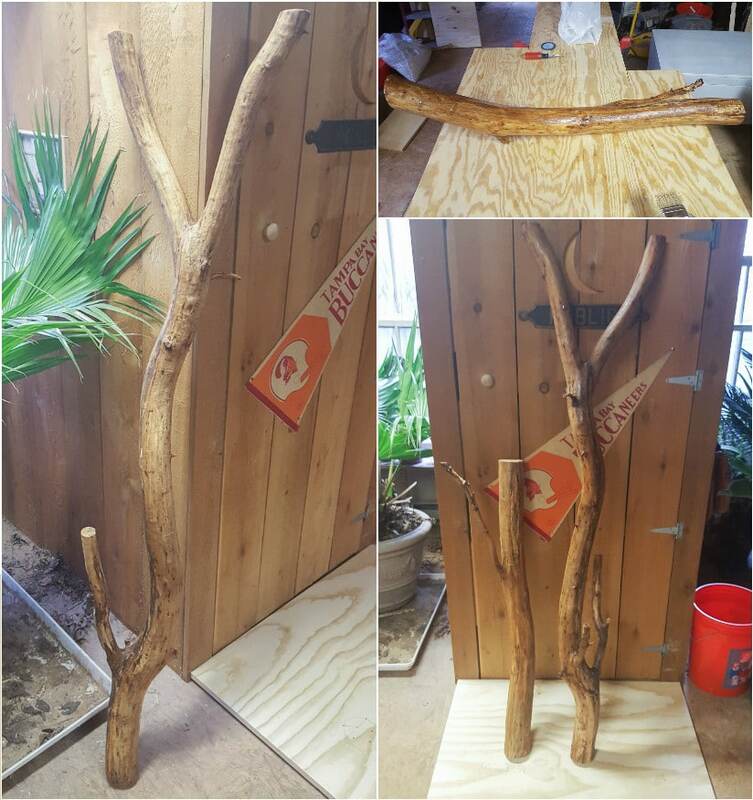 Do you have any suggestions for how these branches could be used in home decor? I will be doing this to hang my running medals. Most medal hangers are expensive and ugly (a thin piece of metal with some hooks or something along those lines). That is a great idea Anne! That’s a great idea Terry! I’m concerned about my cat scratching the treated wood. Would it be harmful? Chemicals and my cat make me a little nervous. 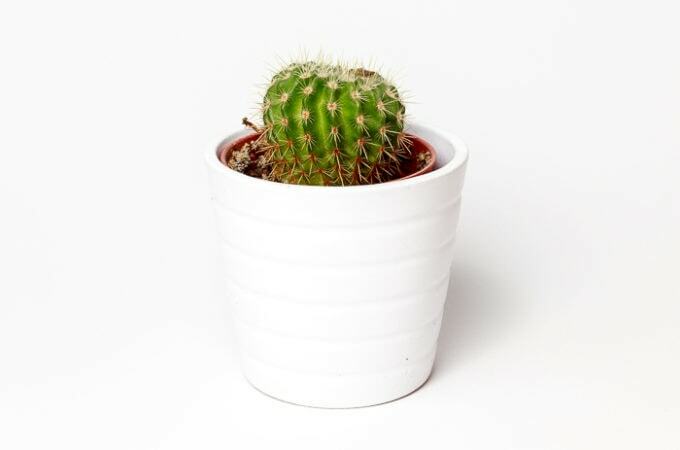 Hi, Have you ever soaked your wood first in bleach water to rid of any pests? Do you know how long the bark will last if not removed? HI there! I just thought i’d mention that I collected some branches from the park yesterday and it’s been snowing here in Manchester, England. 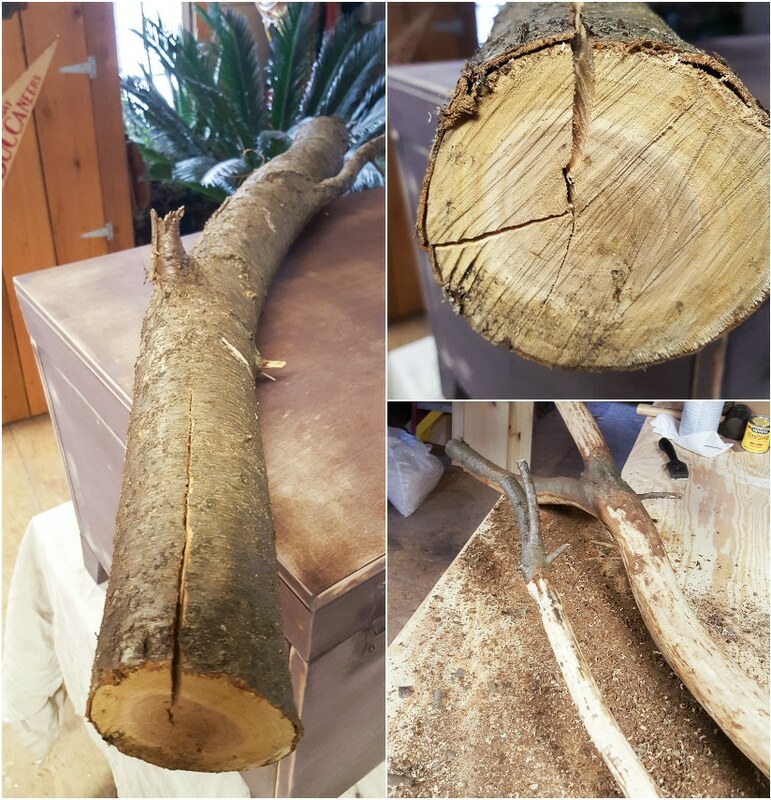 The branches were very damp and kind of yucky so the bark came off incredibly easily! I pulled most of it off with my fingers and used a butter knife on the knobbly bits. Took an hour to strip approx. 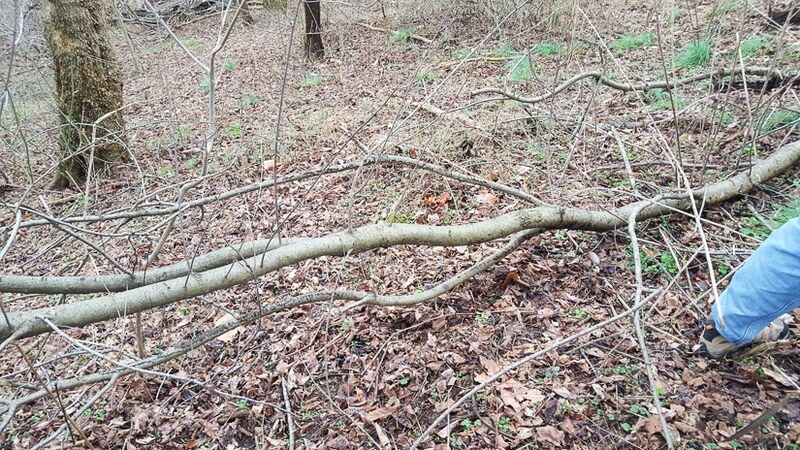 20 arm length branches. They’re now drying. Hope this is somewhat useful to somebody! This is exactly what I was looking for. I tried to find other guides on the net but nothing comes close in detail than this. It will for the moment be by goto approach until I see the results for myself. Many thanks for sharing this post.